Spring Kit - This spring kit gives you the option to customize the ride height of your vehicle. After several years of use in racing applications, Ground Control spring kits have been adapted for street use. Most other spring kits offer only one set ride height when installed. The Ground Control system's unique design allows for easy adjustment. Simply lift the corner(s) of the vehicle that you wish to adjust and spin the adjustable spring seat up or down to raise or lower the vehicle*. 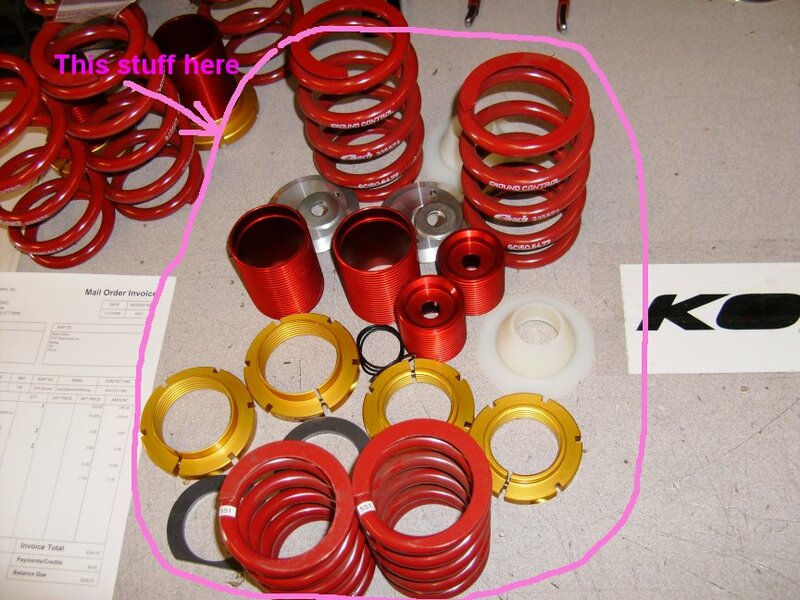 Ground Control spring kits are also designed to be used with either stock or aftermarket shocks.